Get Relief from Bad Odors – Safe & Fast! Over 10x More Effective than Baking Soda! Seeking a Safe, Effective and Chemical-free Odor Control Solution? Many air fresheners contain various unhealthy chemicals like phthalates that can cause hormonal abnormalities, birth defects and reproductive problems as per the Natural Resources Defense Council (NRDC). 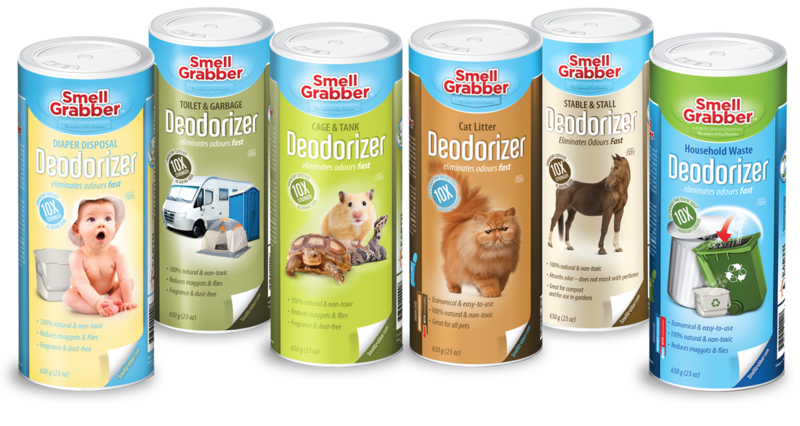 "I had added Smell Grabber deodorizer to the bin (food waste) before I left (for vacations) and to my amazement there was not one bit of smell. No flies. Nothing gross. Just decomposed food waste. Smell Grabber was totally amazing and I am a total convert."